Armed gardaí were sent to a race meeting in Punchestown to ensure a passport for a horse which had been seized by the Criminal Assets Bureau (CAB) was handed back after the horse was allowed to run, a court has heard. 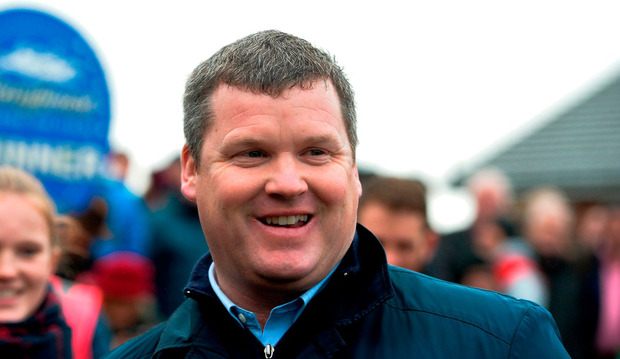 There were also fears that Grand National winning trainer Gordon Elliott could have come under pressure at the racecourse from a criminal gang over the horse. The CAB was in the High Court to try to seize the racehorse Labaik, alleging he was bought for €28,000 by convicted Clondalkin drug dealer John Boylan with the proceeds of crime. Labaik stunned the racing world when it won the Supreme Novice's Hurdle at Cheltenham in 2017. The CAB was seeking to seize a bank account with winnings of almost €80,000, a mobile home, a house in Rathcoole Co Dublin, and a Mercedes car from Boylan. Meanwhile, Boylan has made a counter-claim for loss of earnings from the horse after it was subsequently run at Punchestown while its ownership was frozen by CAB and suffered an alleged career-ending injury. In court yesterday Ms Justice Carmel Stewart heard from CAB head Chief Superintendent Pat Clavin that Labaik's passport had been seized after his Cheltenham win when it had investigated his ownership. The horse was being trained by Mr Elliott, who has no involvement in crime. Boylan has a 90pc share in the horse, while Mr Elliott is said to have a 5pc share. Bloodstock agent Aidan O'Ryan, who has no involvement in crime, owns the remaining 5pc. Chief Supt Clavin said the CAB was satisfied to have the horse's passport in its possession rather than the actual horse, and to leave it in the care of Mr Elliott. The trainer had conveyed his wish after the passport seizure that the horse be allowed race at Punchestown. "I could not see any legitimate reason to refuse Mr Elliot to run the horse and I decided I had no reason to do that," said Chief Supt Clavin. "It was my decision to allow the passport to be at the racecourse at all times under the supervision of members of An Garda Síochána." He said he might have been criticised and worse, the subject of litigation, had he decided not to allow the passport to be at the track. "I feared the potential that Mr Elliott would come under pressure from the criminal gang. I had mitigated that risk by having armed members of An Garda Síochána at the racecourse," he told the court.